Evidence of more advanced civilizations than ours and number of elements of a lost scientic knowledge exist in our yeux.La dissemination of that knowledge is interrupted by the Power Elite, the New World Order itself, to avoid his power is challenged by the people of Earth Humans. Knowing the Truth threatens the institutions of the New World Order, which rely on high finance, secret societies, organized and exploitation of fossil fuels, such as coal, natural gas and especially oil crime. The amazing truth is that as we move humanity has known in history, a global energy network extended throughout the Earth for at least several thousand years. The grid of the Earth has just been rediscovered in the 21st century. We now have strong evidence that the « so-called primitive cultures » of the past, ancient cultures that are supposed to have a « limited understanding of physics », knew the subtle energies of the Earth and its grid pattern, as set here! The fact is that the grid of the Earth itself is drawn, covered in stone all around the world. 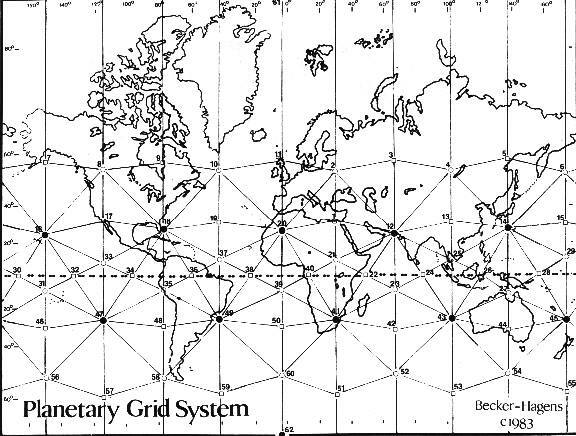 The grid of the Earth is a large system, a complex and structured network composed by the ley lines that have been marked, dotted and bounded by megalithic structures including dolmens, menhirs and stone circles around the Earth. The megalithic structures are found throughout the world representing the precise location of the Earth’s energy lines. In the UK, in places such as Stonehenge and Avebury for example, they are located on powerful telluric currents. The telluric lines were found and rediscovered around the world and many cultures in the past have referred to the energy lines of the earth in different ways. Called The Chinese dragon currents in the ancient art of Feng shui, the art of balancing and harmonizing the Earth. It is by building pagodas, temples and stone structures they believed it would help to heal the Earth. Feng shui is the land that acupuncture is to the body, it regulates the flow of chi, the invisible etheric life force. The Australians named lines of energy grid lines dream that could be experienced in their Dreamtime (dream time, a heightened state of consciousness). When the grid of the Earth was finally in place, it was discovered that all the pyramids and ziggurats (pyramids with flat top), together with sacred temples and stone circles all over the world were placed on the vertices of the grid Earth. We include the temples of the Mayas of Yucatan, the Pyramids of Giza and the plateau of the White Pyramid in Tibet. 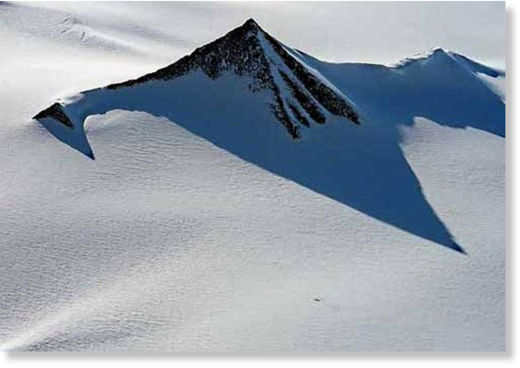 The Great Pyramid on the Giza plateau, the pyramid of Khufu (Cheops in Greek) is the most important because it is located exactly on the north pole of the matrix grid of the Earth. The reason why the ancients chose the Giza plateau for the location of the Great Pyramid is because this place is the center of the most powerful energy in the ethereal world vortex. The Great Pyramid and its guardian, the Sphinx. Most people only know the existing pyramids in Egypt and Mexico, but the pyramids are scattered around the world in China, Japan, Ecuador and El Salvador. Mexico (Chichen Itza), Guatemala, and Peru (Machu Picchu). 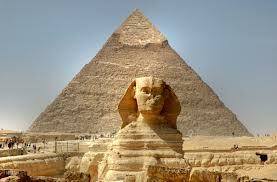 Some archaeologists believe that the pyramids are both in Europe. They found abnormal hills and covered by the earth in the shape of a pyramid, Silbury Hill in England, Italy, Montevecchia (3 pyramidal shapes possible), Serbia, Bosnia and Allemagne.Aussi my own research advance me the idea that the pyramids were photographed and approached by explorers in Antarctica, near the known Neu Schwabenland or be based and many Nazi secret bases area. Even in this place … now hostile.Which kind of secrets it keeps? The place where the Great Pyramid was built is very special, it is the only place on Earth where long stretches of dry land are compared to water. When land is bounded by a path through the Great Pyramid, then the total land area of ​​the circle beyond the field of water much more to this place than in any other place on Earth circle. This fact was probably known in ancient times and it is for this reason that the zero meridian, the meridian was marked by one of the most amazing structures in the world, the Great Pyramid. The mesh of the Earth … or Grid Cathie.Terminée by Becker and Hagens. A number of scientists have been working on the model of the « grid of the Earth », was the first researcher Ivan P. Sanderson. Sanderson found that « the devil cemeteries » which are twelve in number around the world were geometrically spaced from each other. « Cemeteries Devil » are the triangular areas in the world where physical abnormalities were reported as the mysterious, because the disappearance of ships and aircraft, and for no apparent reason. The most famous of them is the Bermuda Triangle, the most famous second is the sea east of Japan. There have been many reports of expansion of time and space have been accompanied by the loss of control of compass, altimeter, artificial horizon, loss of radio contact and other strange phenomena that Many airline pilots have experienced while flying over the Bermuda Triangle. There have been reports that aircraft pilots on arrival seemed to have gone a different time zone since all the watches on board were late, compared to the same reference time, exactly! Sanderson noted that there are five « Cemeteries of the devil » in the Northern Hemisphere, five in the Southern Hemisphere and two at the poles, twelve in total forming the exact peaks icosahedron! Three Russian scientists Nikolai Goncharov, Vyacheslav Morozov, and Valery Makarov made the next step in the construction of the grid of the Earth. They started with the work of Sanderson and added the dodecahedron grid. The couple scientists William Becker and Bethe Hagens who are spouses, finally established the complete symmetry of the grid of the Earth together. Becker is a professor of industrial design at the University of Illinois, Chicago, and Bethe Hagens is a Professor of Anthropology at Governors State University of Illinois. From the grid Icosa (dodecahedron), they added a special polyhedron developed by the sacred geometry of the explorer R. Buckminster Fuller. The official end of their final grid Earth is the Unified Vector Geometry 120 polyhedron, or LAA 120 also called « Earth Star ». We recently live in a New Era, and if we are patient and attentive, the ancient science will come to us, naturally. We are the heirs of Veterans … we must also understand that we are the heirs of the New Era Alive! Respect all forms of life! Thank You for the article! It reminded me of the crystalline grid. It’s the grid that I would love to see a model of.